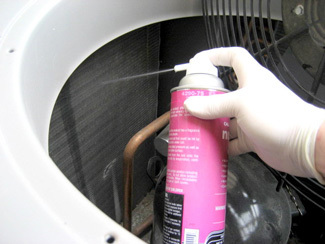 DESCO Services offers a comprehensive preventative maintenance program for all kinds of residential heating systems and air conditioning units. There is a small cost to preventive maintenance but there is also an extreme value in this service. It is an investment that almost always winds up saving you much more money in the future. By inspecting your system, our trained professional technicians are able to identify problems early on before they can escalate into major issues. Our preventative maintenance program will extend the life and longevity of your equipment by keeping it clean and running efficiently. That is done by catching problems early and saving you from having to pay high repair bills. It pays to have the reliability of a fully-serviced air conditioning or heating system. Pay a little today and save a whole lot tomorrow with DESCO Services. Call today! Hanover 717-637-2216 or Gettysburg 717-337-3053 or York PA offices 717-846-3384 or toll free 877-265-9764.